Call our office today to ask questions or schedule an appointment. Dr. Heeje Lee and his helpful staff look forward to speaking with you! To schedule an appointment with an expert cosmetic and restorative dentist, call Dr. Heeje Lee at 972-315-0811. Our Coppell dentist office provides service to patients from Lewisville, Grapevine, Flower Mound, Irving, and all surrounding communities. We are on the opposite side of the building from the service road. 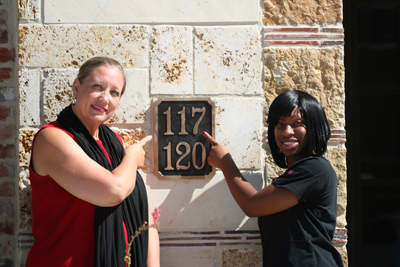 We are in office 117. To experience the benefits of modern general dentistry and prosthodontics in Coppell, TX, contact Dr. Heeje Lee at (972) 315-0811. 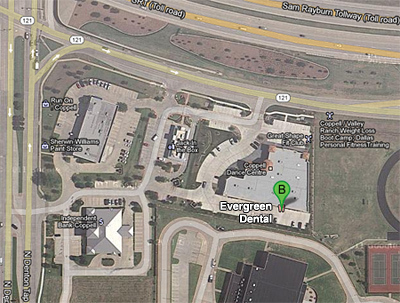 Evergreen Dental welcomes patients from Coppell, Lewisville, Grapevine, Flower Mound, Irving, and the nearby communities.